Each zone provides an interactive shopping experience – create your own fashion looks and moods on digital touch screens, browse and select from over 500 fashion items at the touch of a finger, and enjoy a 21st century shopping experience! Westfield Stratford City will provide the ultimate hangout for the fashion conscious, stylish shopper with their bespoke Fashion and Beauty Lounge. Offering exclusive advice throughout the four days, you can walk out with the confidence received from gaining exclusive style advice from some of the best in the business. For the stylish man, the international tailors Sacoor Brothers will offer complimentary adjustments to gain that perfect fit, whilst the labels head designer, Sandra Silva will be on hand to offer advice on what pieces will suit and complement your style. TM Lewin’s, the century old London based tailors will hold a ‘Dressing for Success’ event providing helpful hints and tips advising how to self-style for more formal events. Additionally, Warren Anderson from ‘An Original Penguin’ will provide insight into the classic American brand and to talk over the brands original take on menswear styling. For all the beauty junkies out there, visit the Virtual Prescription area at Dermologica for the best in high-tech skincare news, or speak to the teams from Elemis, Lancôme and Liz Earle who will also be at the lounge to share the hottest news and trends in both beauty and skincare. Additionally, the Ginger Group team will be on hand to give you the heads up on this season hottest hair trends throughout the entire four days. Visit futurefashion to experience all of the above, and more. Steven Spielberg’s Minority Report amazed audiences with its futuristic technology. Ten years later Westfield Stratford City will bring technology from the big screen to LCD screens by housing an edit of the season’s most sought-after fashion and trends, including tribal and lace, on five digital show-stopping 103” touch-screens, each comparable to the width of a Mini Cooper! Savvy shoppers can begin by touching the screen to browse images from trend- themed galleries, each housing current high-street and luxury apparel; accessories and illustrations and props. Spring/summer fashion from Westfield’s 700+ brands can be navigated on-screen and looks can be created on a futuristic editorial style canvas by dragging items to adapt and personalise a unique spring look. Once shoppers have curated their look they can share it to Westfield’s Facebook Gallery and choose to have a bespoke shopping list of items selected with prices automatically emailed to them. Shoppers can also easily share their style via their own Facebook and Twitter pages. Smartphones have become the personal device of our time and are set to replace purses and wallets to make purchases quicker and slicker. Westfield gets ahead of the game and stylishly embeds each product on screen with QR code technology. The QR Codes can be scanned with a reader via a smartphone and used to obtain a discount code which can then be used to make swift and stylish purchases in-stores. What’s more, NFC (Near Field Communication) is one of the latest mobile software to hit the market. Tech-savvy shoppers who already own an NFC handset will have the unique opportunity to scan and collate discounts which can be redeemed in-store, all at the touch of a button. Until now, 3D catwalk shows have been exclusive to major fashion houses but are now set to become mainstream, making a commercial debut at Westfield in a cinema pop-up. Seating fifteen at a time, each guest will wear 3D glasses to view an immersive three minute fashion show produced by Westfield which showcases more than 70 looks of the very best in spring/summer style* The 3D Lenticular Catwalk Show will be screened showcasing fashion like never seen before. Sip fresh mocktails in the sumptuous surroundings of the Cocktail Bar and enjoy speed grooming at the Beauty Bar with make-up artists who will apply their expertise on the latest colour palettes and products and share their beauty top tips. 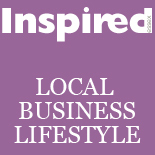 This entry was posted on March 23, 2012 by inspiredessex in Beauty & Wellbeing, Essex Events, Ladies Fashion, Ladies Time Out and tagged Essex Magazine, fashion westfield, inspired fashion, westfield stratford city.